Time Travelling to Jesus. Seriously. 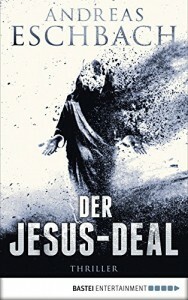 Der Jesus-Deal is a time travel story. And it's the sequel of the earlier book Das Jesus Video. This second book contains spoilers about the first book. The translation I read had a different title that translates as "The Armageddon Conspiracy". That's what the plot is about and it's done in a way that is both entertaining and interesting. 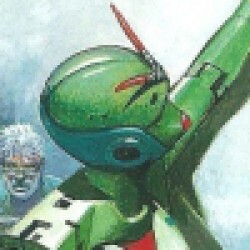 It's immediately clear that the protagonist is a very religious evangelical Christian. Andreas Eschbach starts every chapter by quoting real Christian books with texts like "Oh Jesus I love love luvvv you!". That may be annoying to readers who are religious themselves. But I think it's more important that the characters are well chosen: The honest Christian young man is the right person to tell this story. The second protagonist is the business man from Jesus Video, who has changed his life, and it also features Stephen 'Indiana Jones' Foxx. This book uses entertainment as a form and style, but in my opinion it should be regarded as a novel that has something to say. A good 3,75 out of 5 score!